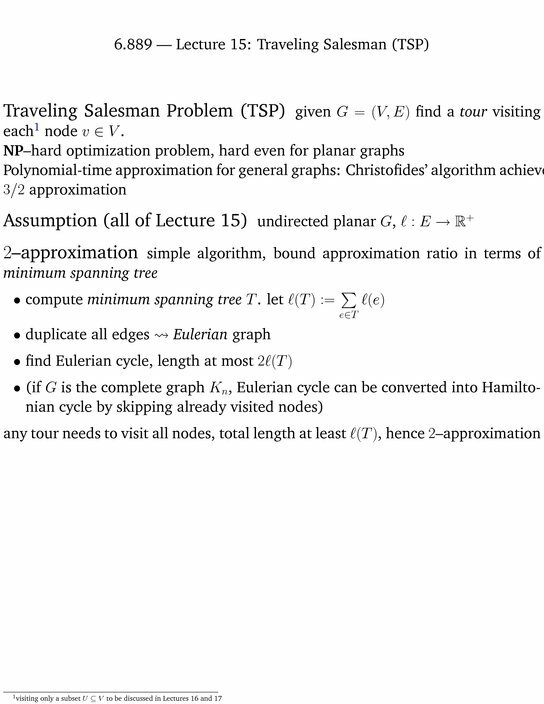 In the Traveling Salesman Problem (TSP) we need to find a shortest tour visiting all the nodes of a graph. For general graphs, there have been recent algorithmic breakthroughs: researchers have found polynomial-time algorithms with approximation ratio strictly below 3/2. The TSP algorithm also serves as a beautiful example of a more general framework for efficient approximation schemes in planar graphs. 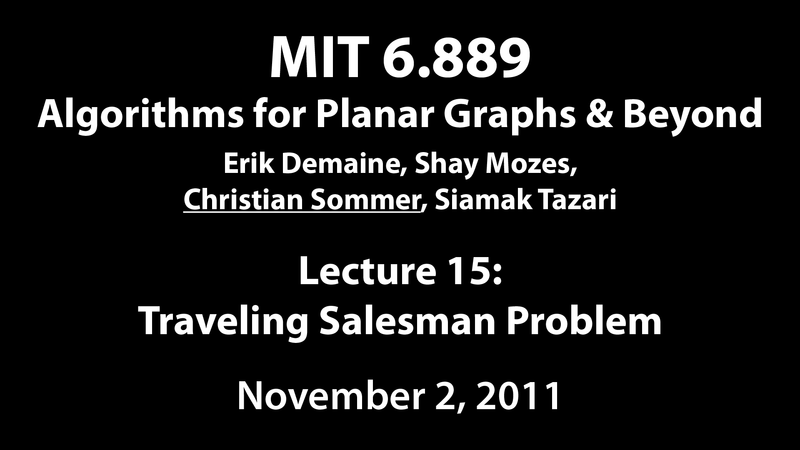 It may be helpful to review (/ first watch) some of the materials of Lecture 8 on approximation schemes in planar graphs.